Can someone analyze this charts - Soviet-Empire.com U.S.S.R. 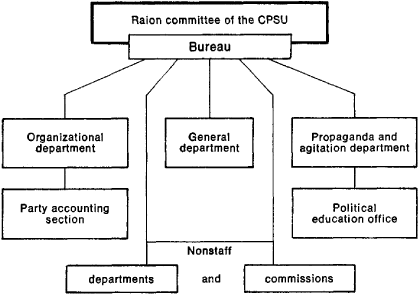 It's of a primary party organization the lowest form of communist party structure that are formed in various workplaces. 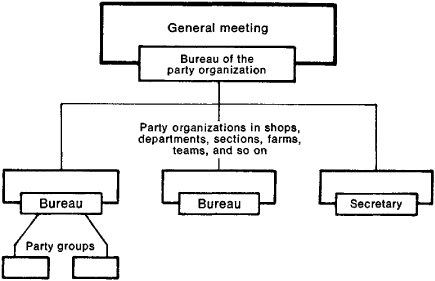 What does party groups, bureau,secretary actually mean?